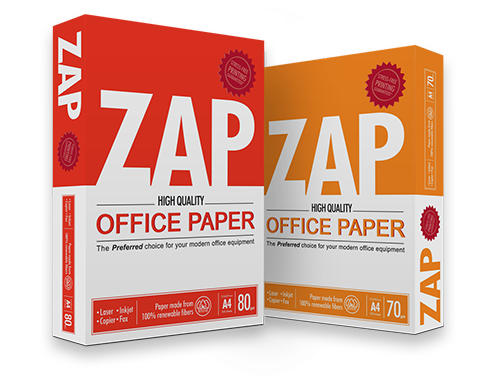 ZAP is a high-quality and reliable copy paper for everyday use. PCC pigment technology improves smoothness, thickness and opacity while reducing wood-fiber usage. ZAP is made to deliver the best possible reproduction and function in electrostatic dry toner printing (xerography) in both simplex and duplex printing. Looking for ZAP 70 gsm A4 Copy Paper?